New trees are going in at Pelizzari Park, and volunteers are needed to help plant those trees. ReLeaf Michigan, a non-profit tree organization, in partnership with the DTE Energy Foundation, Peninsula Township, Grand Traverse Regional Land Conservancy, and the Michigan Forestry Assistance Program, is looking for volunteers to assist in planting 20 trees on Saturday, October 13, at Pelizzari Natural Area in Peninsula Township. The project will enhance the overall tree canopy at the park while providing needed shade. Volunteers are asked to wear closed-toe shoes, comfortable clothing and bring a shovel and other appropriate tools. The group will meet at Pelizzari Park, 6852 Center Road, on the Old Mission Peninsula. Sign in is at 8:45 a.m. and a tree planting demonstration will take place at 9 a.m. Families are welcome to participate. For 30 years, ReLeaf Michigan has been partnering with communities statewide to replenish tree canopies through tree planting events. 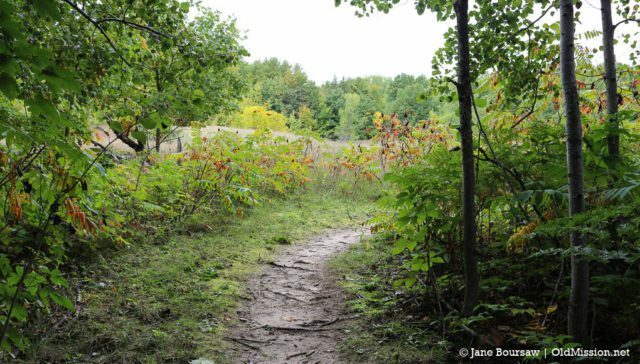 Over the past 22 years, the DTE Energy Foundation has worked with the Michigan Department of Natural Resources to plant more than 40,000 trees in communities across the state of Michigan. Trees provide many benefits to communities such as shade, extensive health benefits, improving economic vitality of commercial districts, absorbing storm water, and reducing carbon in our atmosphere. While the event is free, RSVPs are appreciated but not required. If you plan to attend, feel free to contact OMP resident and longtime park volunteer Dave Murphy, dgmurphy@charter.net, (231) 313-5177, or Steve Lagerquist, Land Stewardship Specialist with the Grand Traverse Regional Land Conservancy, slagerquist@gtrlc.org, (231) 922-1242. Click here to learn about the history of the Pelizzari family and how Pelizzari Park came to be one of Peninsula Township’s parks.